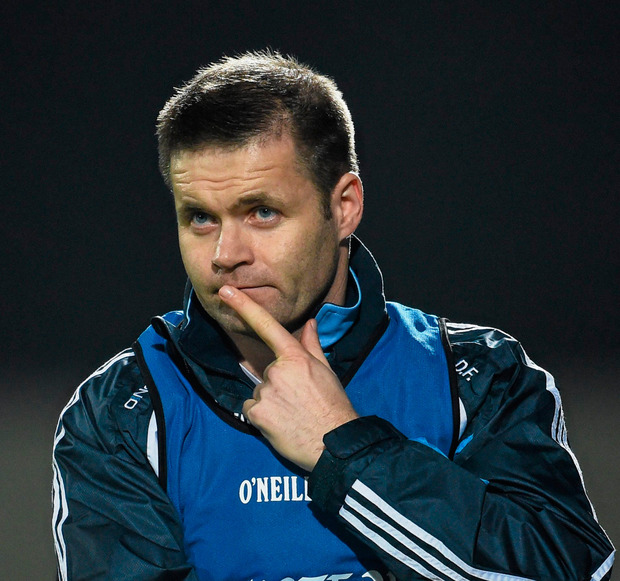 Dessie Farrell will work with the Dublin senior hurling panel in 2019 in what manager Mattie Kenny described as “a support role” to the squad and management team. His responsibilities are understood to be in the area of player development, assisting Kenny in attempting to establish a culture of success in the squad. Farrell’s will not have any hands-on role in the team’s coaching. Initial work began with the panel ahead of last Sunday’s League Division 1B victory over Waterford in Parnell Park and Farrell was present in Parnell Park as Kenny’s team made it three wins from four games this spring. When contacted, Kenny confirmed to the Herald that Farrell will be involved for 2019, insisting that “the wealth of experience Dessie has as an ex-player and former manager will be invaluable”. He is the second player from the 1995 All-Ireland winning football team to be involved with the hurlers after Pat Gilroy’s season as team manager last year. Farrell’s credentials as a coach/manager with Dublin underage football teams are second to none. He took the county minors to an All-Ireland in 2012 and captured two Under-21 All-Irelands in his four years as manager at that grade. During that time, he was responsible for the development of a number of players who have gone on to backbone the seniors. Jack McCaffrey, Ciarán Kilkenny, Paul Mannion, John Small, Cormac Costello and Eric Lowndes were all on Farrell’s various development squads. More recently, he took over as manager of the Na Fianna senior footballers after guiding Dublin to the last Under-21 All-Ireland in 2017 before it was regraded to Under-20.